Brochure printing is an affordable but effective strategy for both small businesses and big companies alike. Brochures relay product and service information for customers with their separate folded sections, that can present information in an organized manner. Print, or have printed, a pamphlet or flyer sheet. 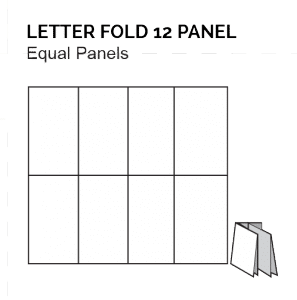 Ensure that there are two even columns separated by a small gap that splits the landscape-oriented paper vertically. 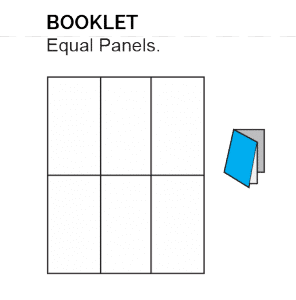 Place the paper brochure on a table with the paper oriented horizontally. Fold it in half so the corners match up with each other and the first and last pages of the pamphlet are on the outside surface. 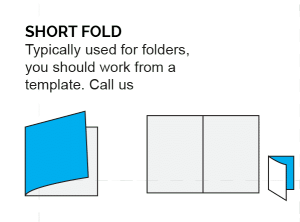 Create the fold while holding the corners in place. Print out a pamphlet sheet or flyer. Be sure there are three even columns separated by two gaps that split the landscape-oriented paper vertically. Place the paper brochure on a table, making sure the first panel is facing down on the left side. 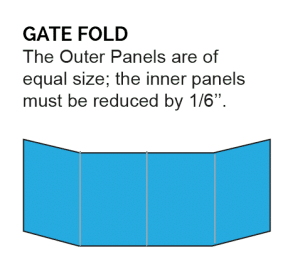 Fold the third section onto the second, until the overlapping portion is slightly narrower than the non-overlapping portion of section one. Crease the fold on the right side of the parchment. Unfold the right side of the brochure. Then fold section one top of the right to complete the process. Finally, unfold the left and re-fold section three. Re-fold section one on top of the right to complete the process. Print the pamphlet and place on a table with a landscape orientation. 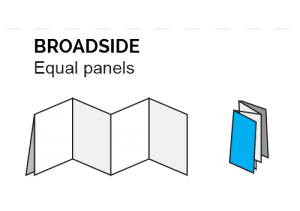 Ensure the first panel is facing down on the left side. Fold section one over so that the left edge bisects the other two-thirds of the paper. Crease the fold on the left side. Flip over the brochure and fold the remaining edge over until it’s corners overlap the crease from step three. Section three should be folded on top of section two. A French fold is the combination of a half-fold in one direction followed by a half-fold in the other, perpendicular to the first. 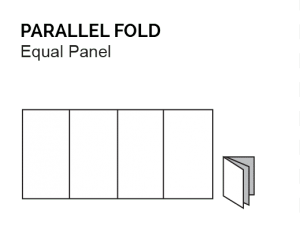 A French fold brochure is made by folding a page into equal parts in a single bearing and afterward folding the folded page fifty-fifty again in the contrary measurement. 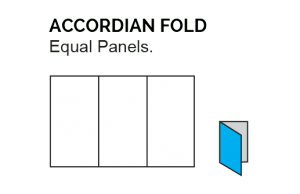 In the wake of folding it comprises of eight boards, four on the front and four on the back. Eight-board French folds with even boards are usually utilized for welcome cards and wedding solicitations. Joshua Watson has been with PGprint.com for several years now, focusing on customer experience and optimization of products for the website. ©2009-2019 | PGprint All Rights Reserved.